SKU: SC RG26. 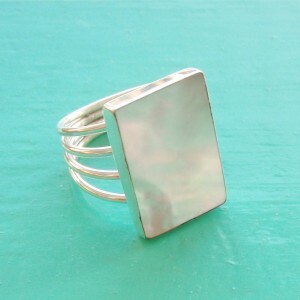 Categories: Mother of Pearl, Rings. This Rectangular Mother of Pearl Ring is the perfect choice for those that love seashells and the iridescent colours of Mother of Pearl. 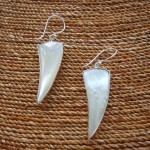 Mother of Pearl is said to signify sincerity and truth. The play and variety of colours represent change as the beauty of existence. Set in 925 Sterling Silver, this natural seashell ring will definitely set you apart.